It's raining wedding season in Bollywood. While on one hand we keep receiving breathtaking photos of Ranveer Singh and Deepika Padukone from their pre-wedding festivities; Priyanka Chopra's pre-wedding functions are all about glamour, sassy and oomph! Our 'desi girl' who has now become world sensation, Priyanka Chopra would be tying the knot with Nick Jonas towards the end of the year. 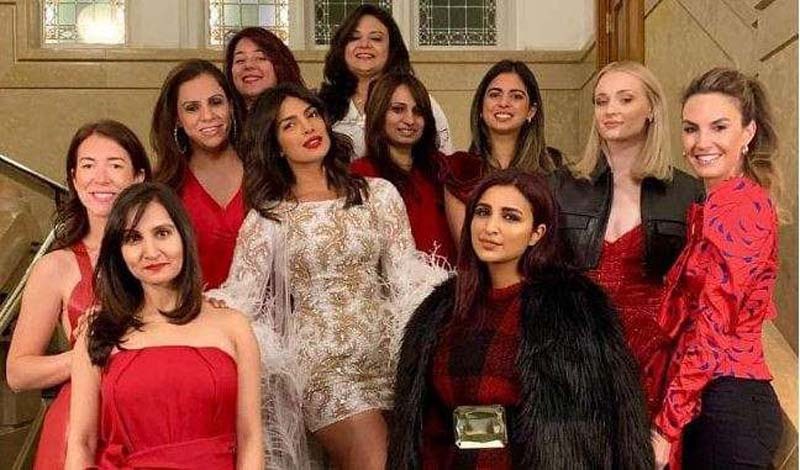 After a beautiful bridal shower, which was hosted by Priyanka's closest buddies in New York, it's time for the bachelorette party.The who's who from the crème-de-la-crème attended PC's bachelorette bash. While Priyanka's cousin, Parineeti Chopra, flew in from India; Isha Ambani too made her presence felt at the do. Priyanka's sister-in-law, Sophie Turner was seen in high spirits at the party. The bachelorette party which has been organised in Amsterdam began with the 'girl squad' having lunch at the canal cruise, followed by a lavishly wild party. Let's take a look at some of the photos from her bachelorette.